Featuring a completely different design from the rest of the Harley Davidson lineup, V-Rod stands out as a more sporty Harley motorcycle. 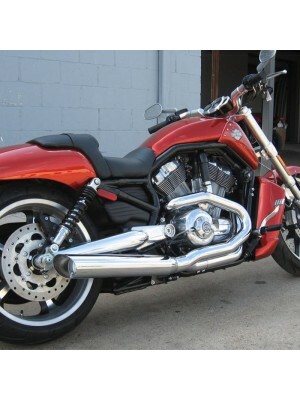 While Harley has discontinued the V-Rod, it is still very much in demand - along with V-Rod aftermarket exhaust systems. 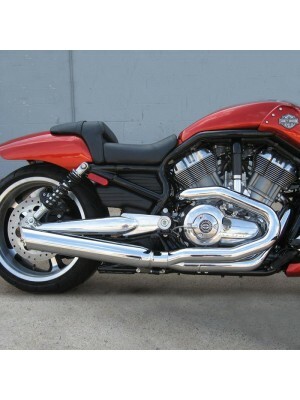 D&D Exhaust's V-Rod systems are designed to improve the performance of your bike, while giving your V-Rod a deep and boomy sound at the same time. Each exhaust system features a black or chrome finish along with a heat shield, bolt kit, brackets, and baffles. 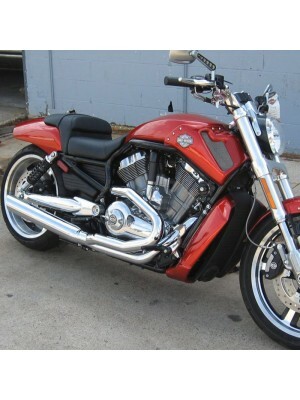 Each D&D exhaust system is designed at our facility and tested with a Harley SE Tuner. For more information, choose a product below. Year: 2007-2017Make: Harley Davidson 2006 Screaming Eagle V Rod612ZSE-31F Black 612ZSE-32F Chrom..
Year: 2007-2017Make: Harley DavidsonDetails:2007-2017 Harley V Rod Standard, Screaming Eagle, Nightr..
Make: Harley Davidson 2009-2017 V Rod Muscle612ZM-31F Black 612ZM-32F ChromeRetail PriceChrome..